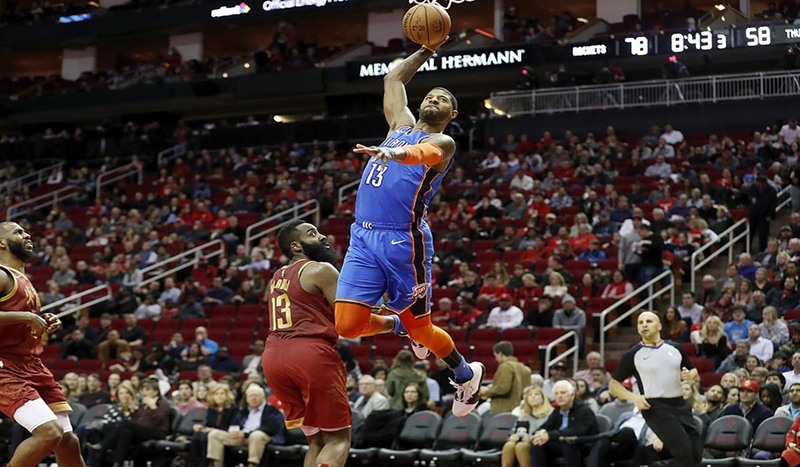 Paul George went off for 45 points and 11 rebounds to rally the Oklahoma City Thunder to beat the Houston Rockets 117-112 on Saturday . Reigning MVP James Harden scored 42 points and had an opportunity late to take the win, until George switched on defending Harden. Paul George 45 PTS (15 in 4th quarter) & 11 REB during OKC’s 26-PT comeback win in Houston! It was Harden scored over 30 or more points and . That did not discourage George who is also in the 2019 MVP race.